If you would like to view this artwork at the artist’s studio in Surrey simply give us a call on 01372 897070 or email info@opiusgallery.com. To view artists from other areas click 'View Art Locally' in the main menu above. Image Size: 21.65" x 17.7"
Description: An original acrylic painting by Tiffany Budd on a 1.2" deep chunky box canvas, painted around the edges so framing is not required. 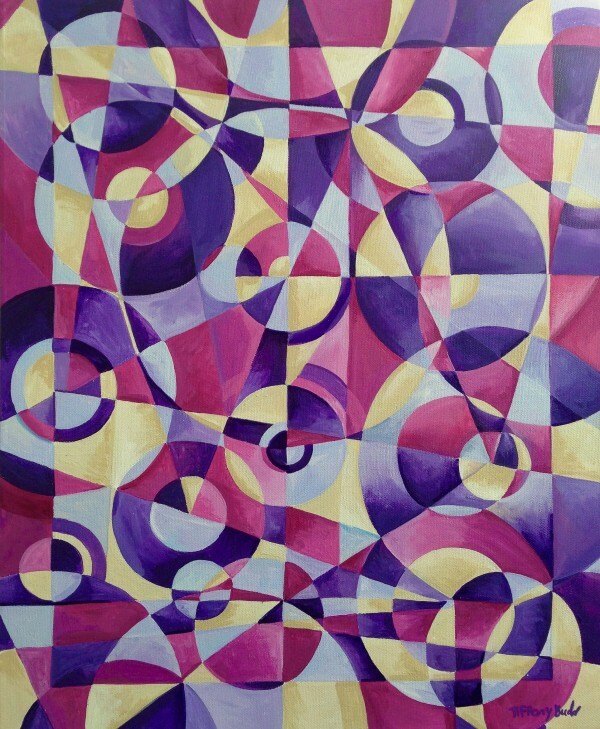 Lose yourself in this geometric and random pattern of blues, purples and lilacs. Fracturing circles and creating exciting and dynamic shapes.